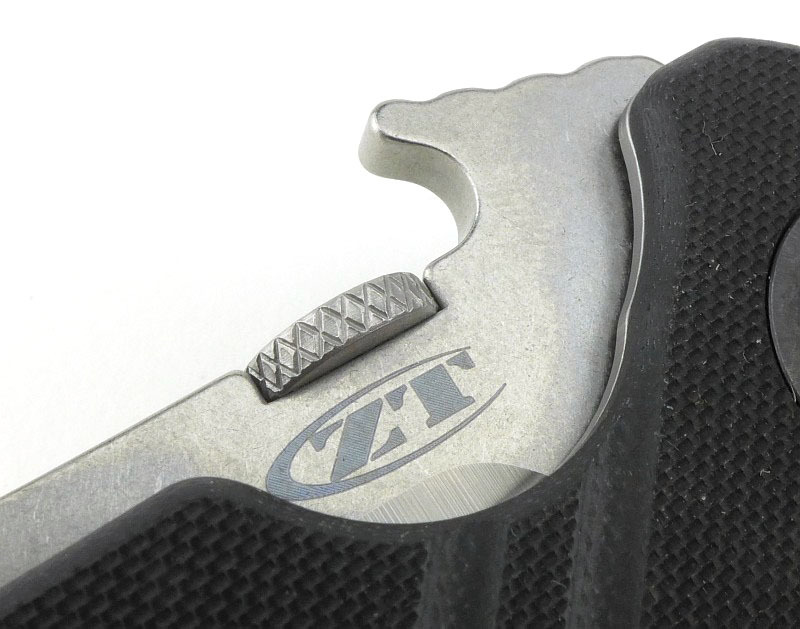 The ZT (Zero Tolerance) 0630 is a collaboration between ZT and Ernest Emerson, and naturally features the patented Emerson “wave shaped feature” that makes it one of the fastest deploying folding knives in the world. 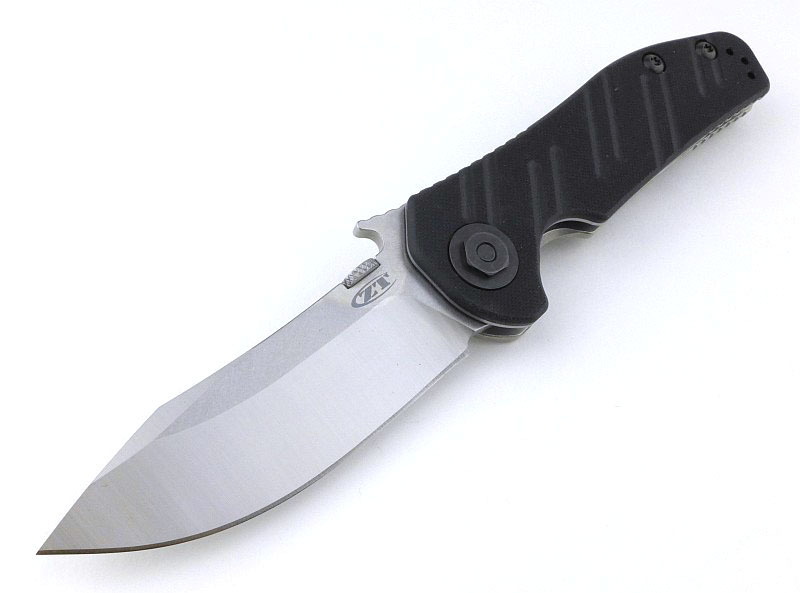 With a strong upswept S35VN tactical blade the 0630 is powerfully over-built for hard-use. 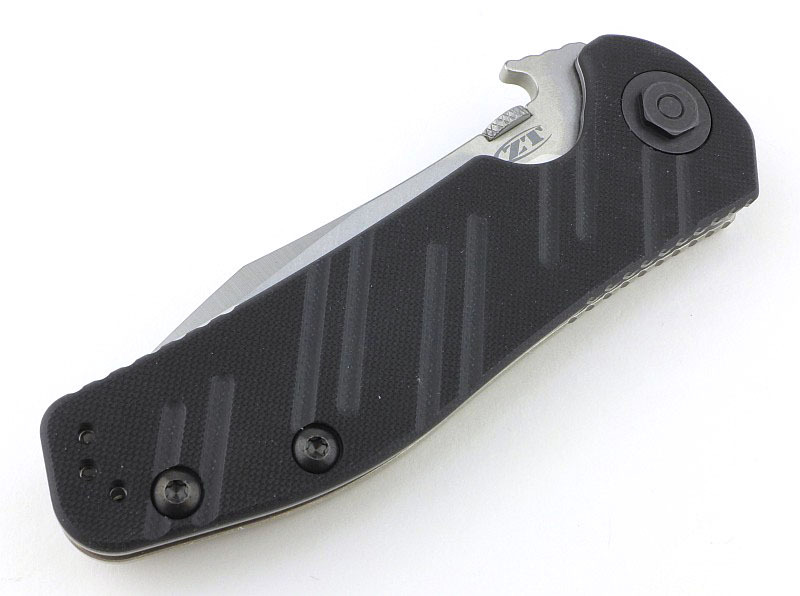 I wanted to include a short extract from Emerson Knives about the ‘Wave’ feature. 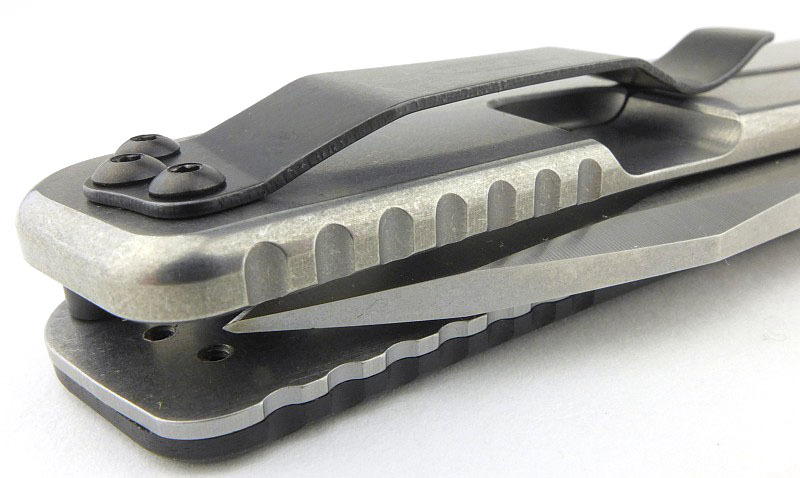 “The remote pocket opener is the most dynamic and advanced feature ever designed for folding knives. Originally designed by Ernest Emerson as a request from the Navy Seals. They needed him to design a ‘blade catcher’ that would essentially stop a blade from sliding up the back of your knife and cutting your arm when in a one-on-one knife fight. 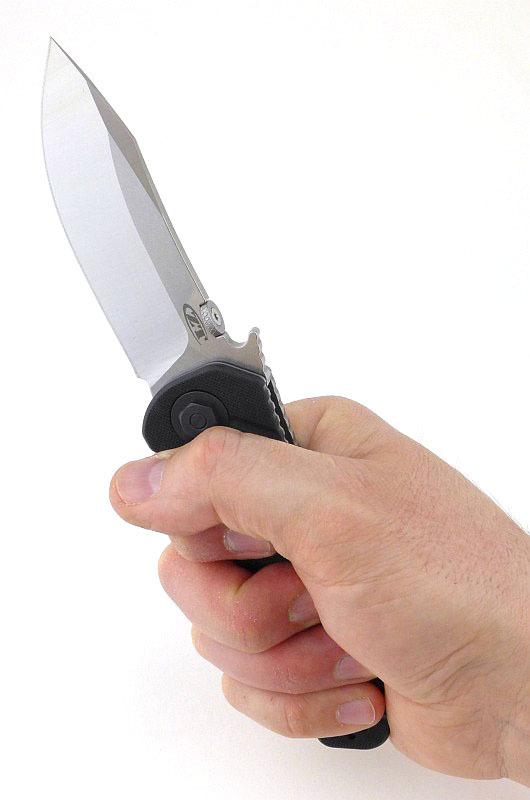 By accident, Ernest Emerson inadvertently created the Emerson Wave Feature when he discovered that the knife would self deploy when being pulled from your pocket, given the right motion. The 0630 comes in a cardboard box. 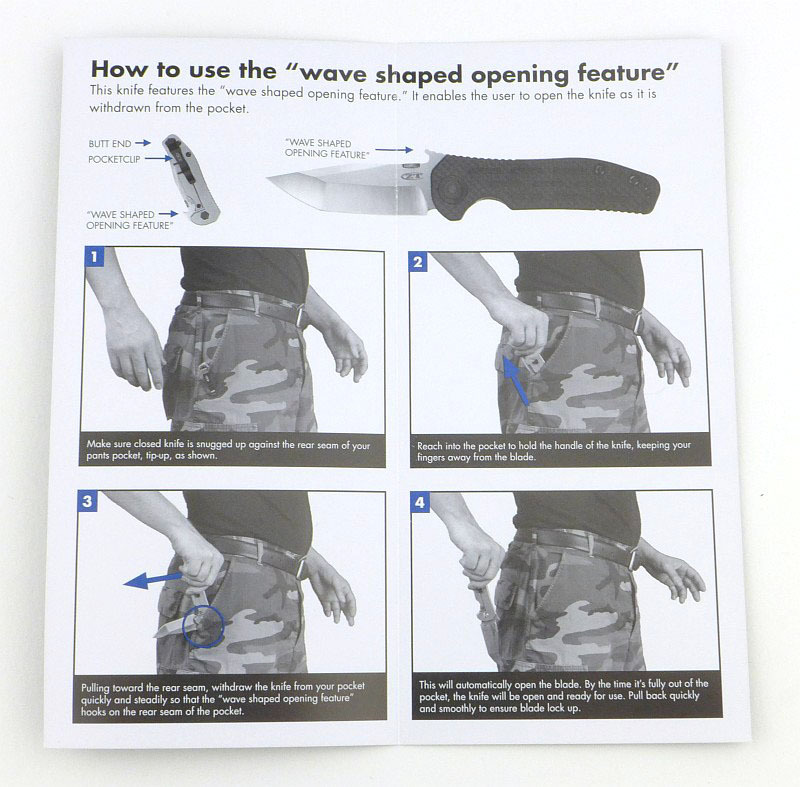 Along with the knife are two leaflets, one with general information, and one about the Wave feature. How to use the Wave Feature. Tucked under the pocket clip is a silica gel packet. 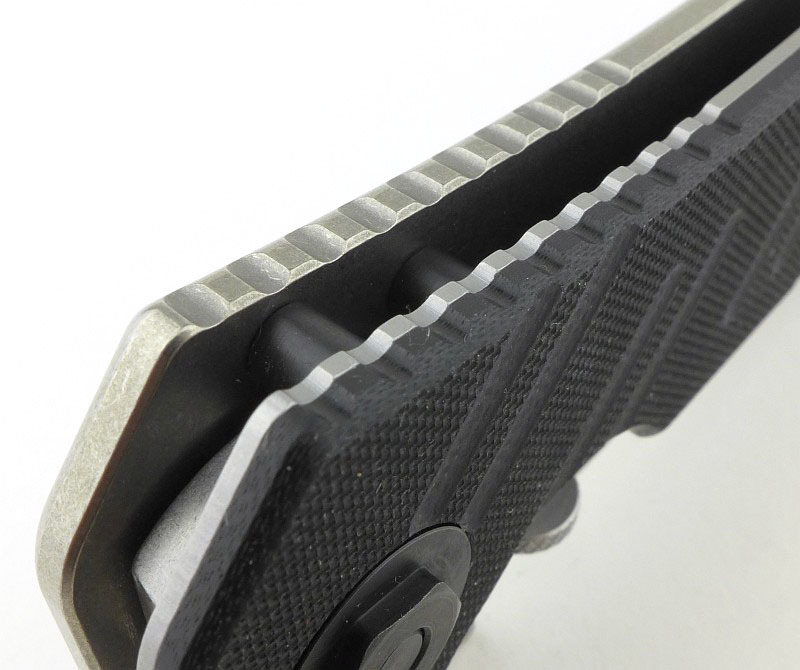 On the other handle is a peeled G-10 scale with milled grip grooves. 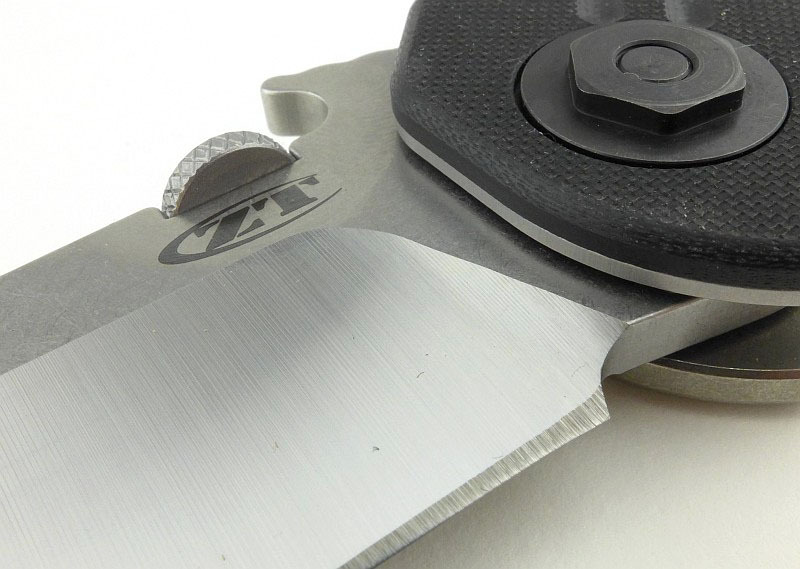 Rather than a stud, the 0630 has a thumb-disc for manual opening of the blade. 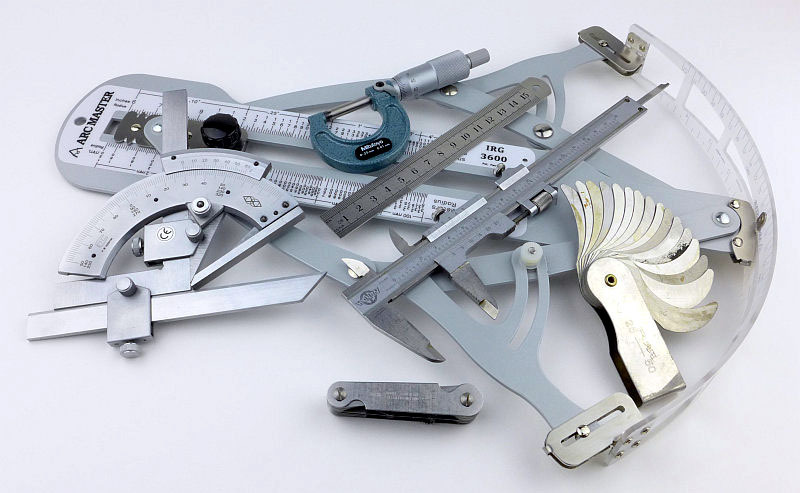 Matching the heavy no-nonsense design of this knife, there is a substantial pivot nut which can be adjusted with a standard spanner; no special tools required). 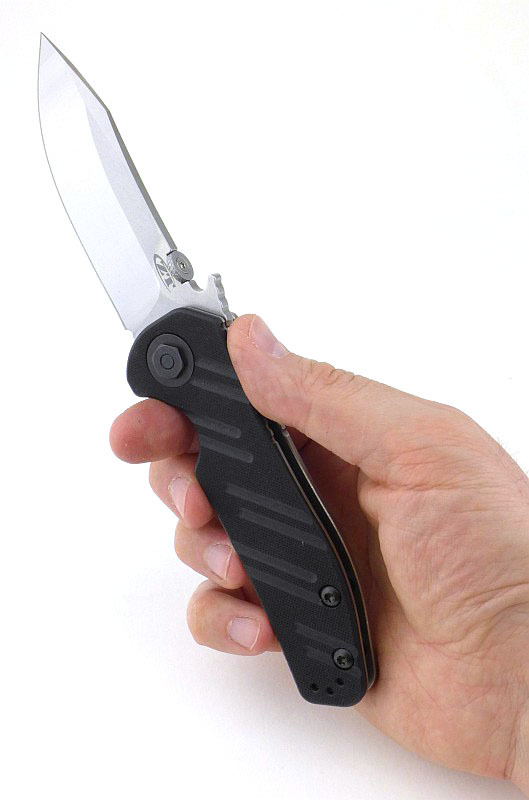 By default, the pocket clip is fitted to the framelock side of the knife which suits a right-handed owner. 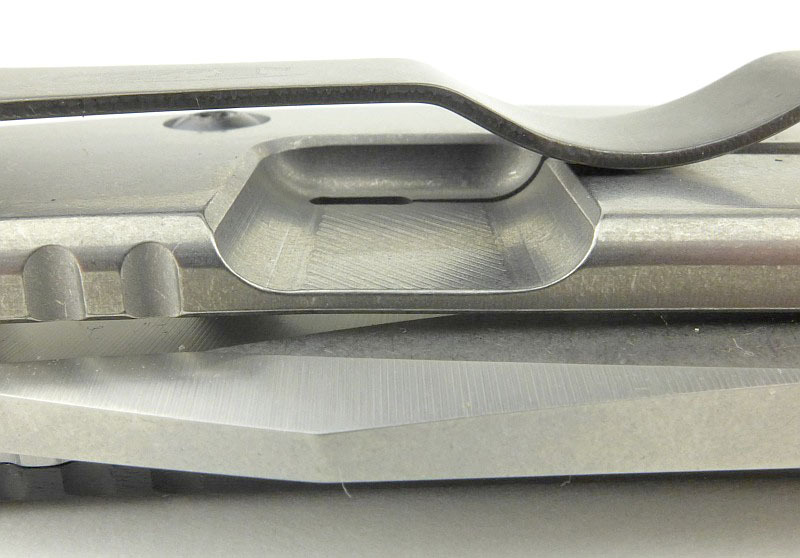 However the 0630 comes drilled and tapped for the pocket clip to be moved to the G-10 side for a left-handed owner. 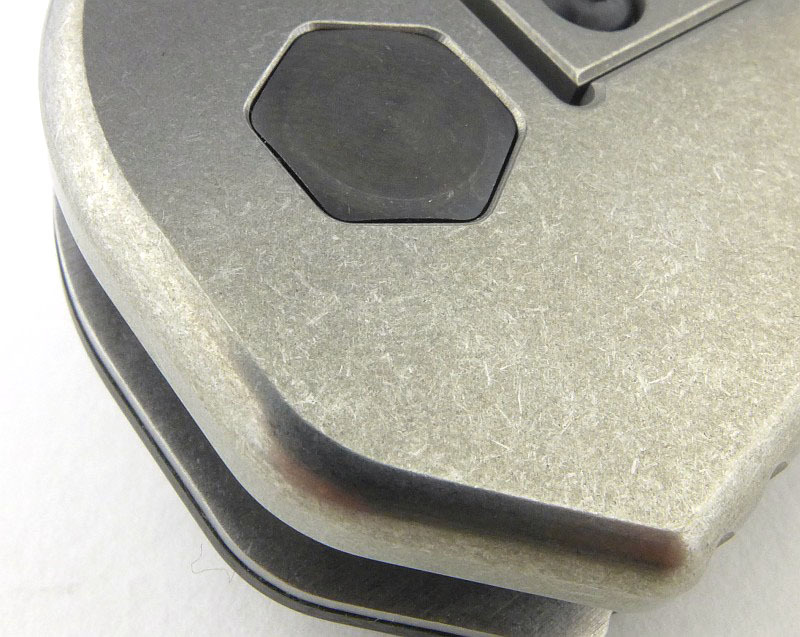 The titanium framelock has a pleasing stonewashed finish. 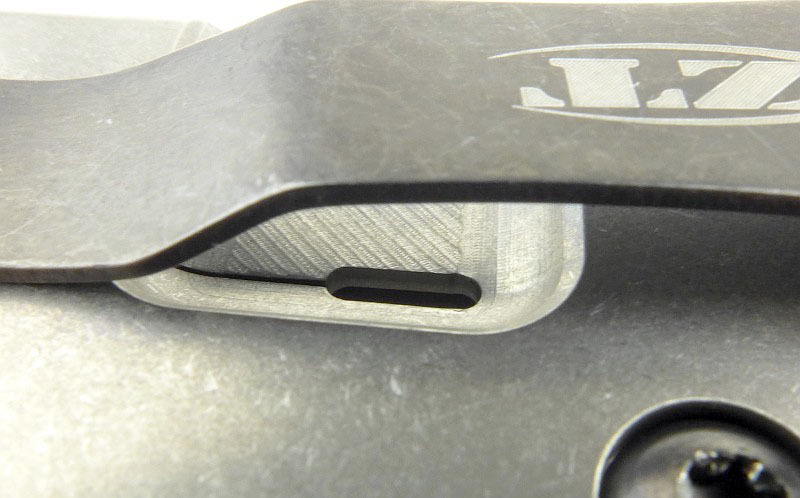 At the base of the lock-bar cutout is a rounded corner to reduce stresses. 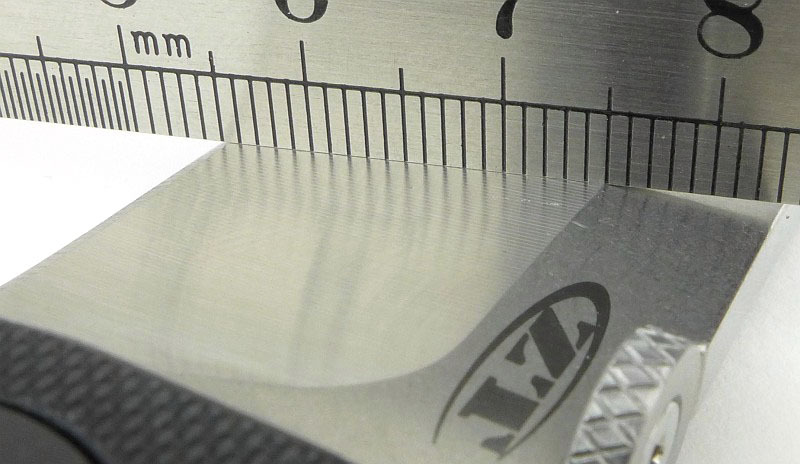 All round the Titanium slab, the corners are nicely radiused ensuring there are no sharp edges to cut into your hand. 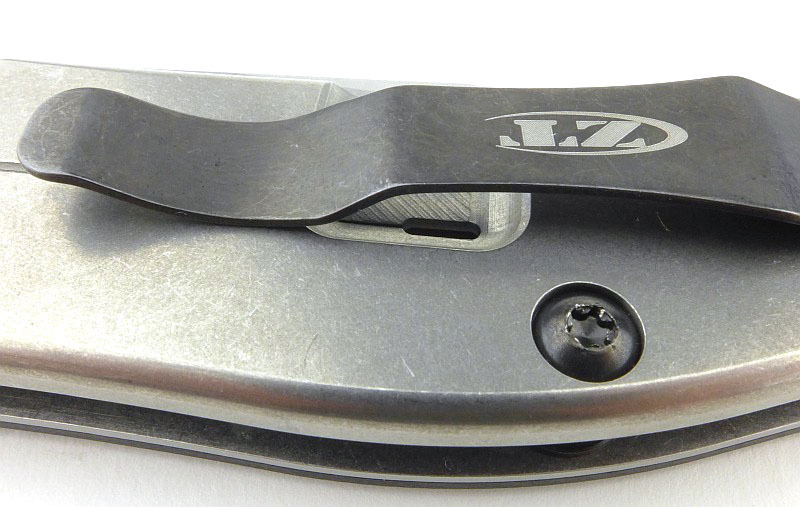 With its wide design, the pocket clip has a strong grip. 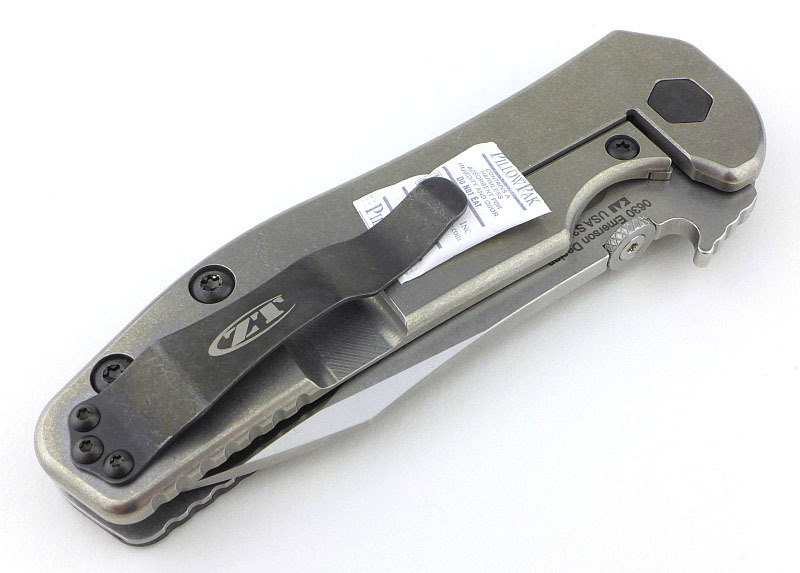 This is important when used on the Titanium side as the smooth titanium does not grab the pocket fabric as much as the G-10 side. Key areas of the handle have jimping to help with grip. The cutout that forms the lock-bar spring is deep and well rounded at the corners. 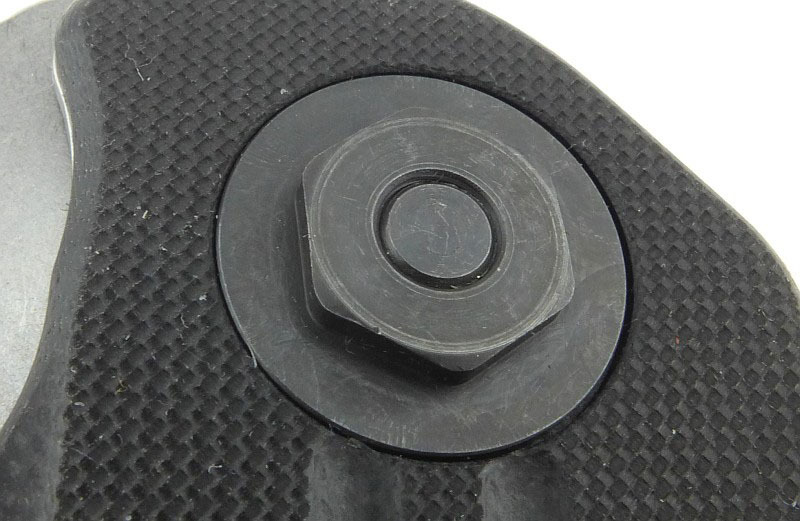 Though it might look like the clip is pressing on the lock-bar, it actually sits onto the fixed part of the frame. 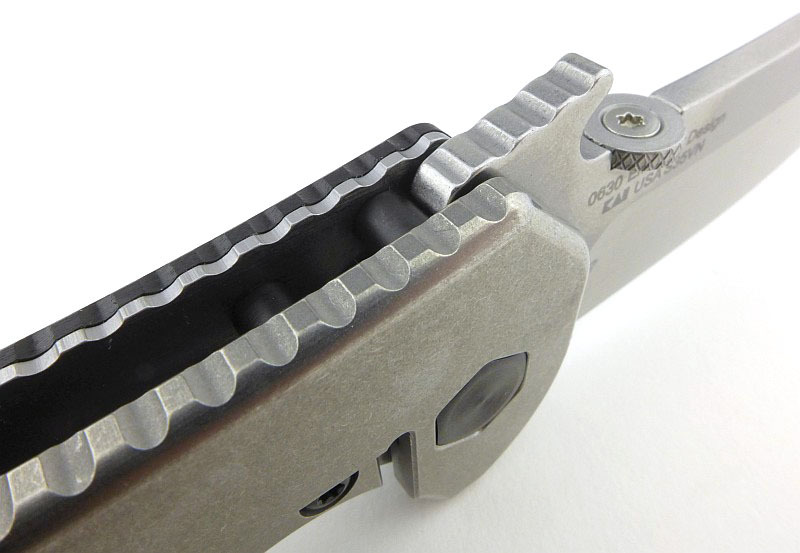 Where needed, stress reducing features are included, in this case at the end of the lock-bar slot. Further jimping in the thumb ramp area of the grip. This actually extends up onto the ‘wave’ as we will see. There is jimping on the top of the ‘wave’ which is a natural extension of the jimping on the frame. With the blade open, you can now see that flow of the jimping from handle to wave. 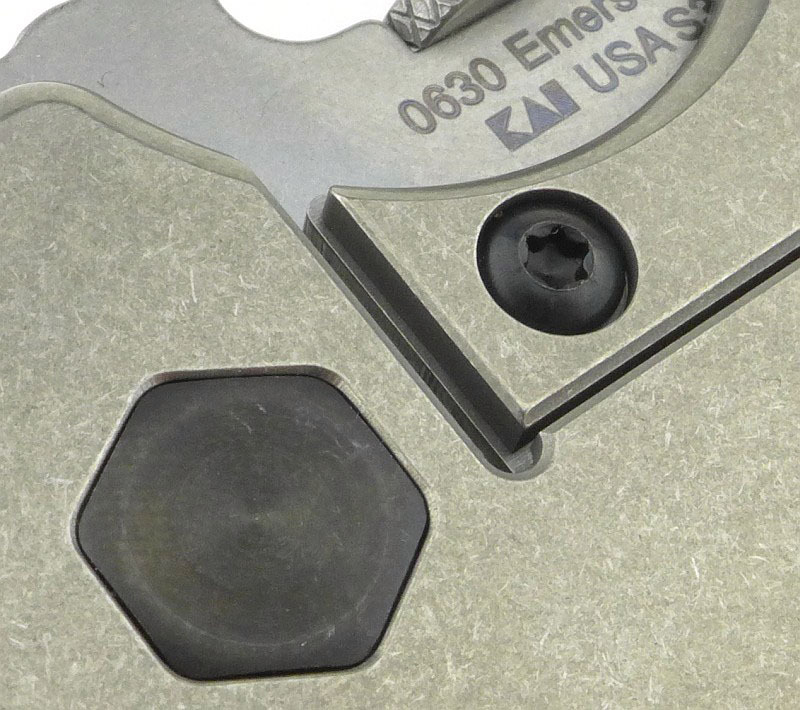 The 0630 has an open frame with black spacers. 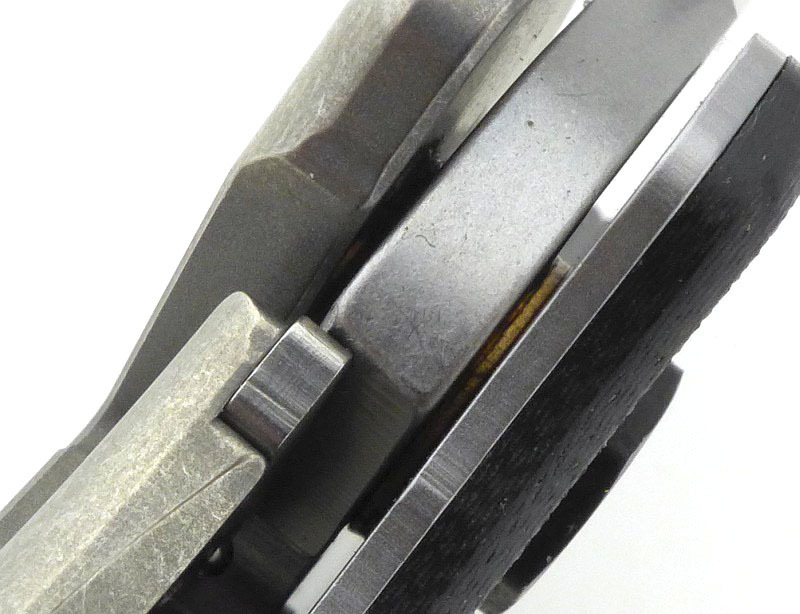 On this example the lock engagement was about a third out-of-the-box. 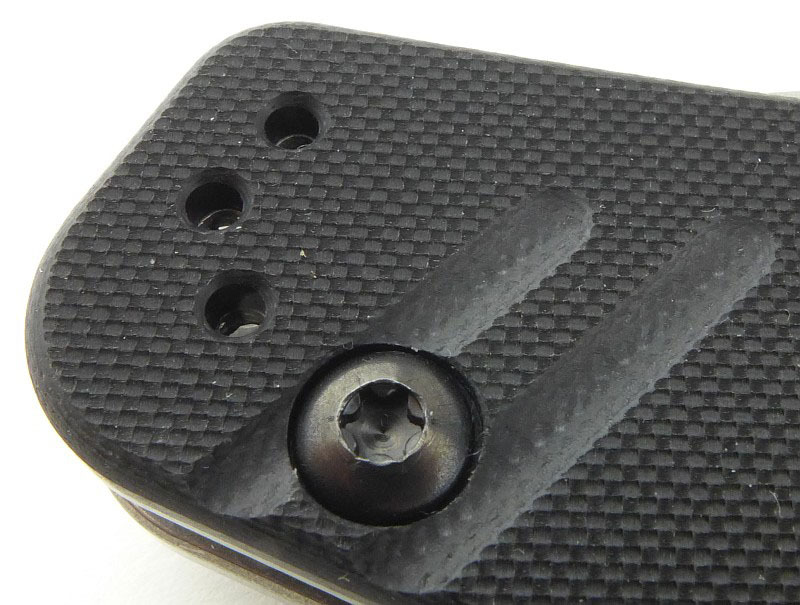 Note the hardened steel lockbar insert for reliable solid lock-up. You can also see the phosphor-bronze washers making the bearing as simple and strong as it can be. 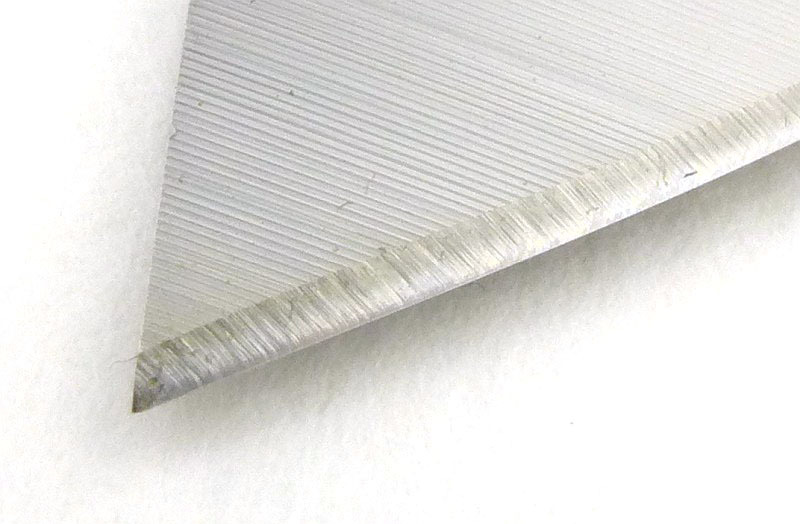 A close-up look at the blade tip, and edge bevel. 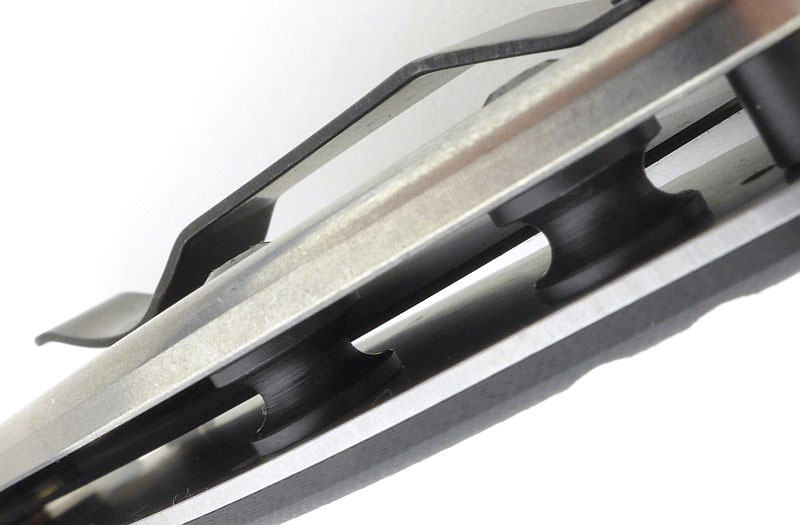 To make unlocking more comfortable the inside of the lock-bar has a bevelled corner. 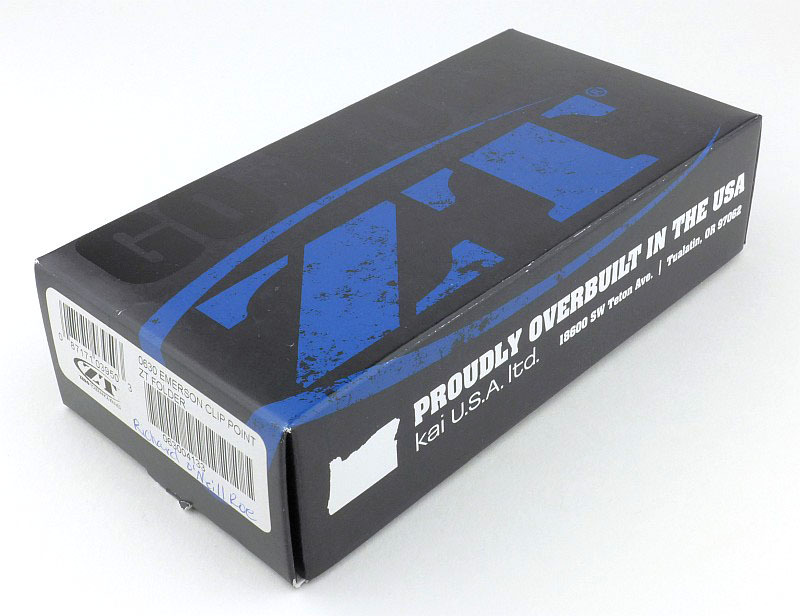 A well rounded plunge line keeps maximum blade strength. 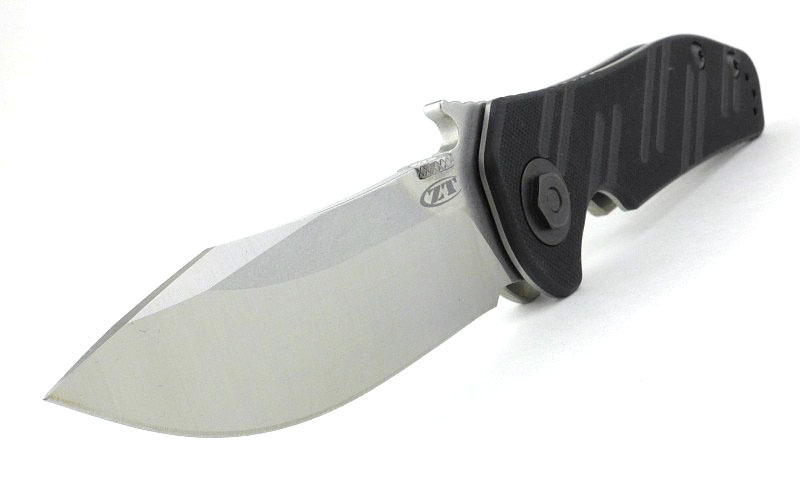 ZT’s 0630 has pushed me in a direction I normally avoid, as I’m not keen on pocket clips. They work well for a lot of people, but I’ve had knives become unclipped, which makes them very likely to be lost. 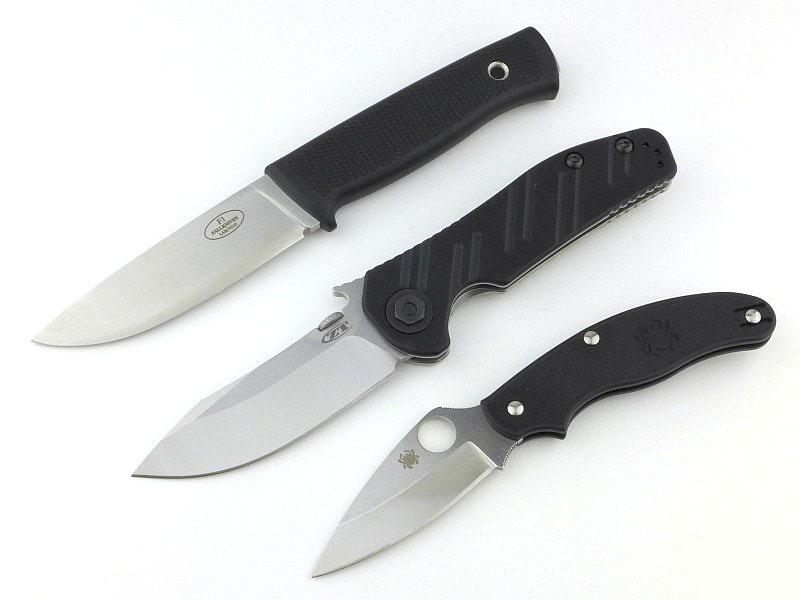 However, here we have an Emerson, and the Wave, so it means you really do need to go for the pocket clip carry or you just won’t get the experience you should be. Very often I find pocket clips (or more accurately the handle scale under them) too abrasive, and end up with shredded pockets. 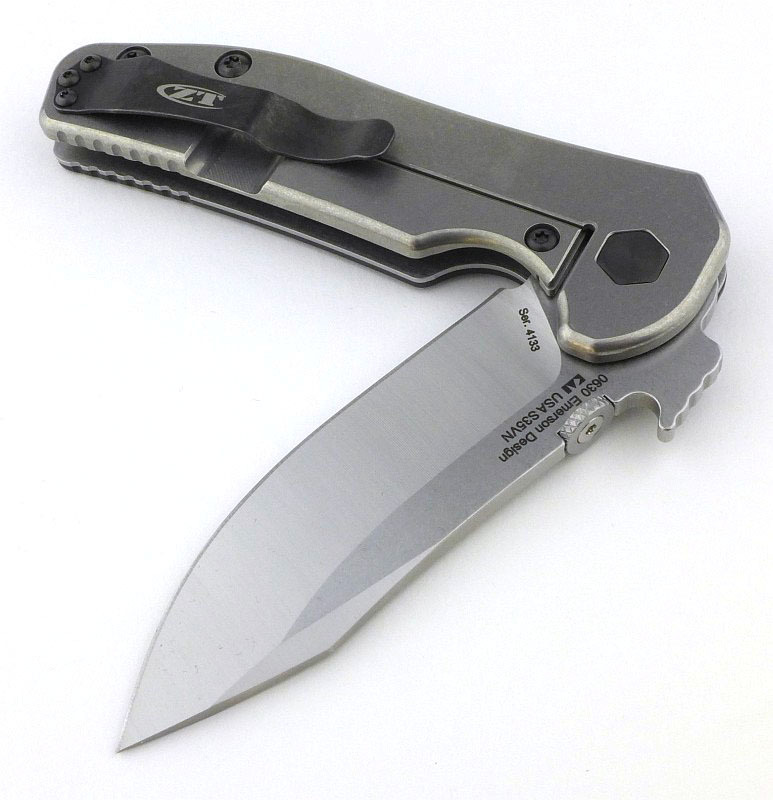 With the 0630 having a smooth titanium handle under the strong pocket clip, despite the ‘hold’ the clip has, it has not chewed up my pockets, but has also not come free by itself. If I were left handed, it would be a different story, so for some this won’t work out as well. What is very apparent when handling the 0630 is its super solid build. 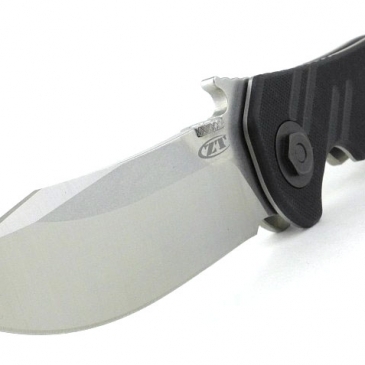 There is not one aspect of this knife that feels like a weak point. I’m still looking for one, but haven’t found it yet. 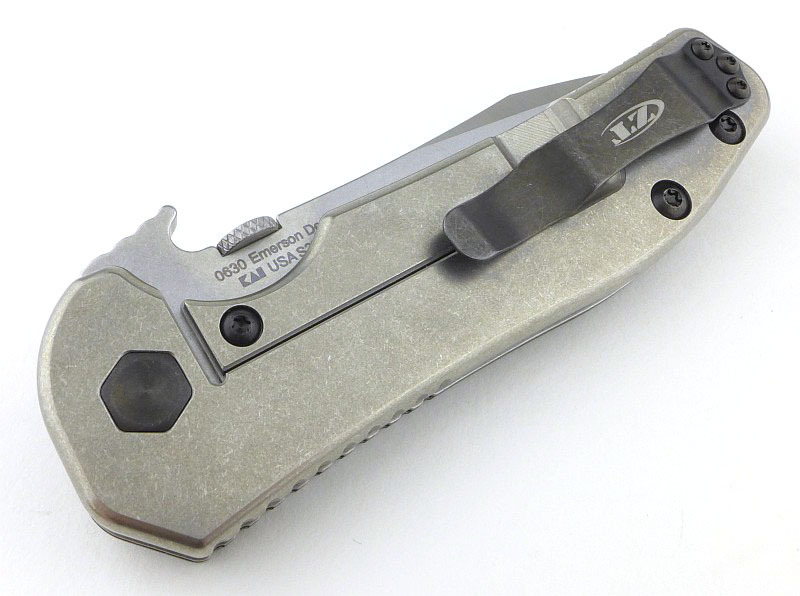 Thanks to getting lots of pocket carry, it has been getting a wide variety of uses. 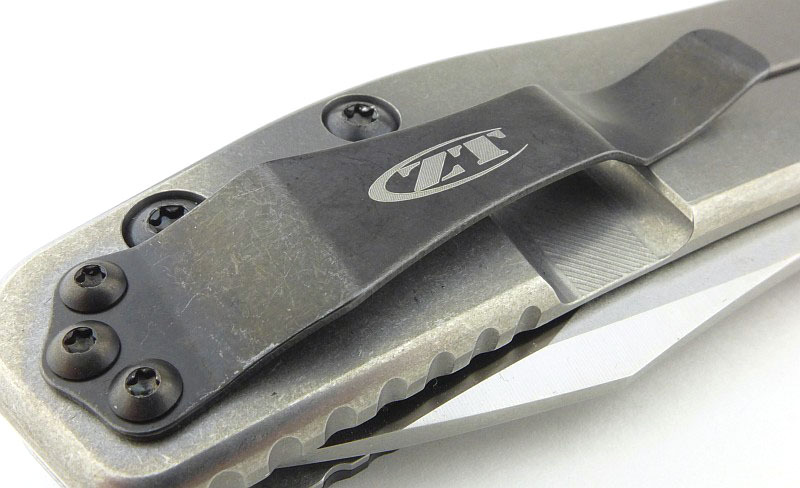 With ZT featuring a lot models with flippers and wave opening, they have developed a very strong detent, perhaps one of the strongest of any production knife I’ve used. 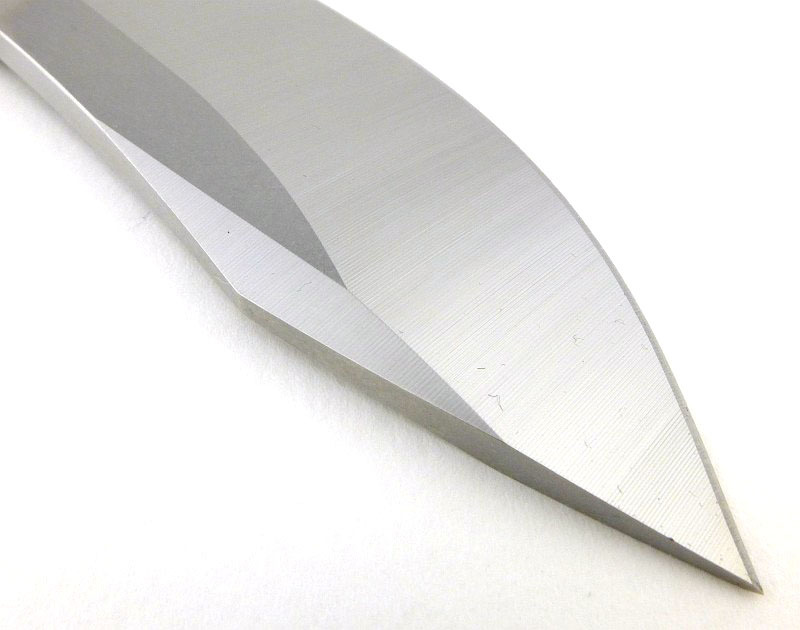 This strong detent means the opening action becomes very positive as a lot of force is built up pressing on the detent before it ‘breaks’ and the blade deploys. 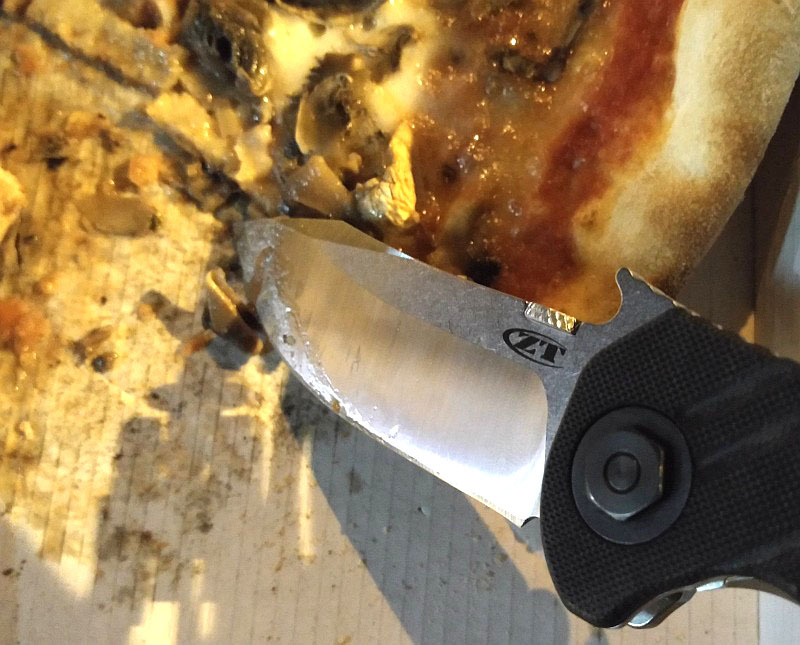 The downside to this is one-handed manual opening can be much harder work than on other knives and the thumb opening of the 0630 is certainly an example of this. Out of the box I struggled to open the blade using the thumb disc, and even now don’t consider this a reliable opening method. At the end of a day’s work, that disc can start to create a sore spot on the thumb thanks to the relentless detent. This short video talks a little about this as well as showing the wave opening in slow motion. 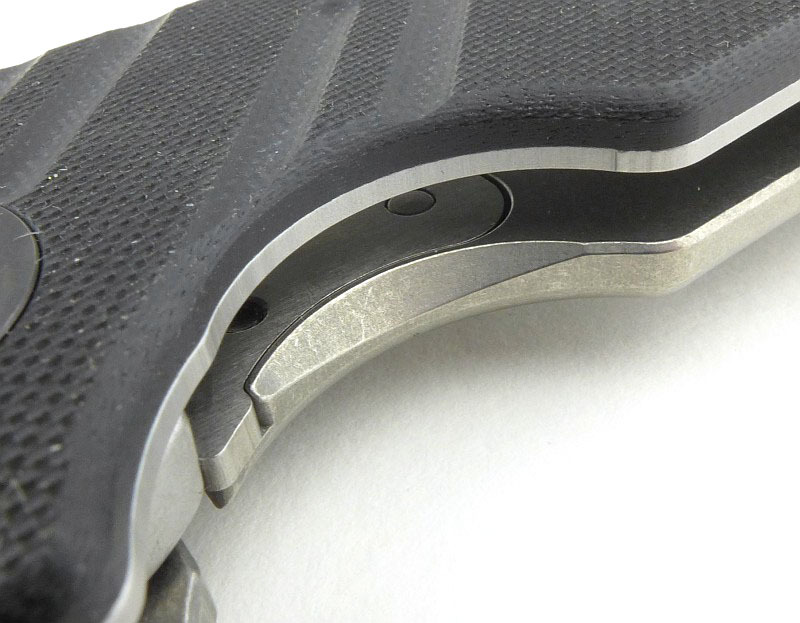 The Wave feature just keeps giving, as it provides an extended thumb ramp for a great grip for pushing the tip forward. 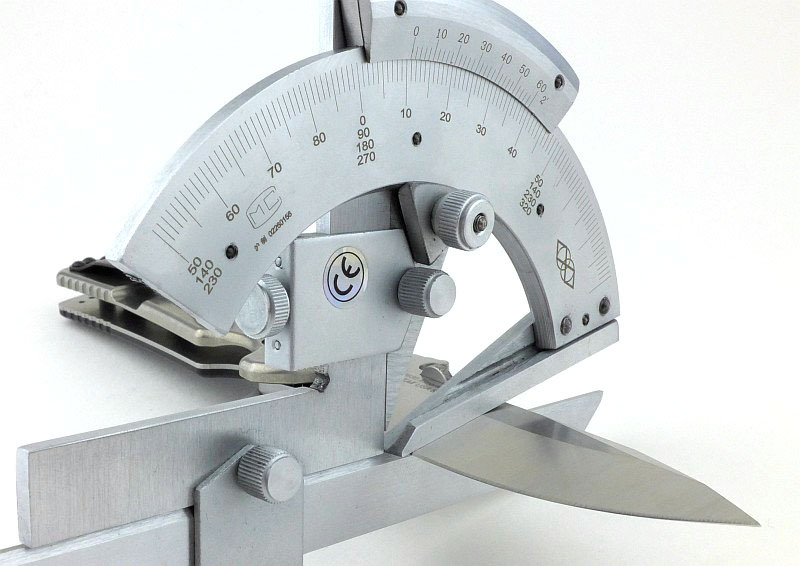 Thanks to its size the length of the handle allows a comfortable grip for general slicing. (I take XL size gloves). 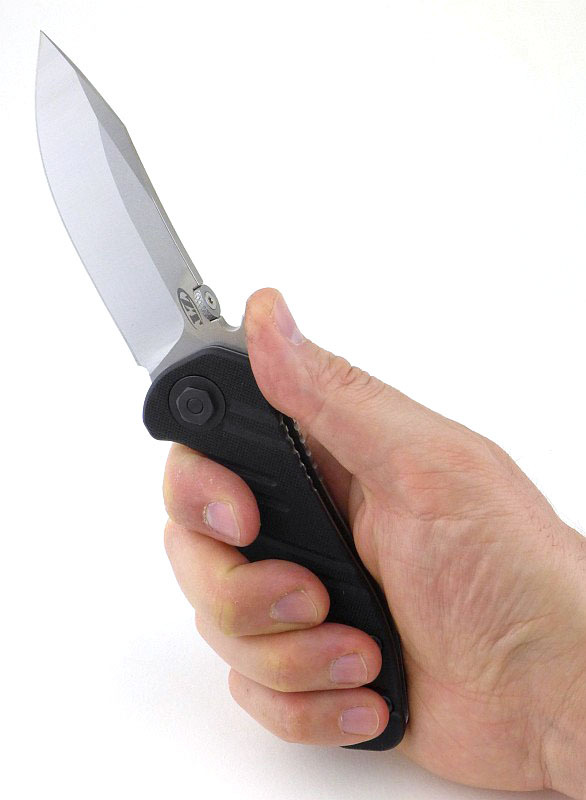 For a right-hander, the peeled G-10 scale falls under the fingers and has a lot of grip even with wet hands. 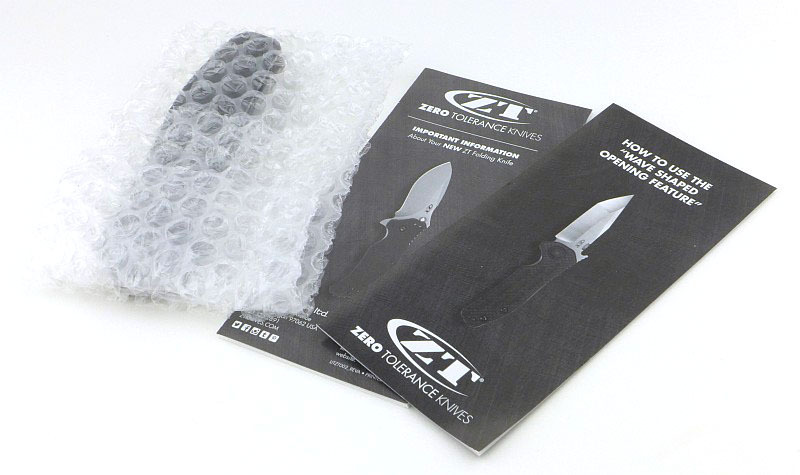 The peeled G-10 is not overly aggressive or abrasive to your hand. 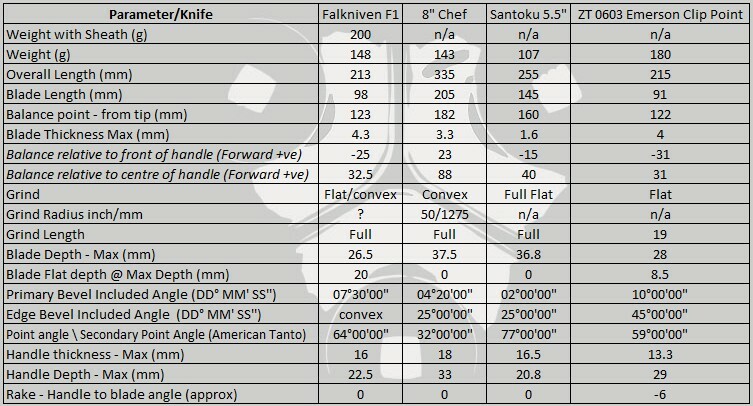 To give an idea of scale, here it is next to the Fällkniven F1 and a Spyderco UK Pen Knife. Looking like a bit of a brute, I would not have said the 0630 was a particularly attractive knife (to my taste), but as I have found before, there is often a very good reason why the design looks the way it does, and the 0630 has proven without a doubt that it functions incredibly well, and those design aspects that I’m not so keen on the look of make it a really excellent tool. 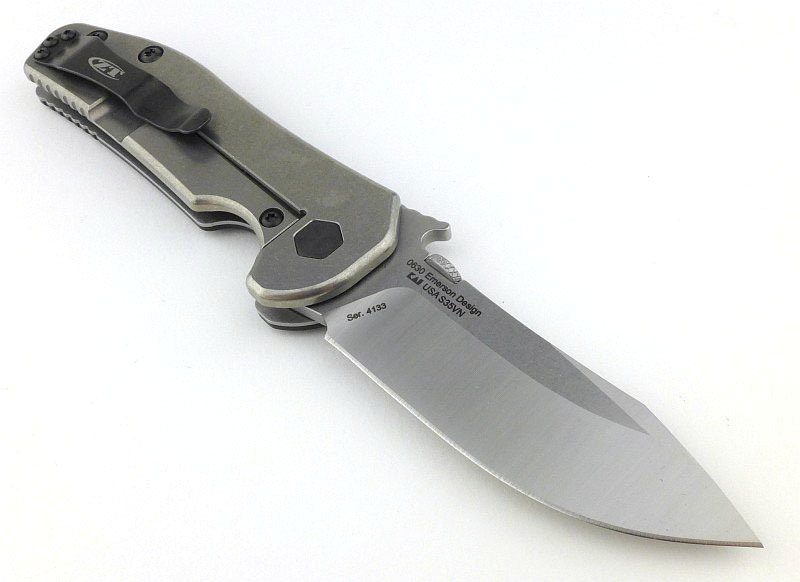 I like a super slick ball bearing pivot as much as the next knife enthusiast, but when it comes to a hard-use knife I always prefer phosphor-bronze. Again I love a flipper, but for the utmost reliability I don’t want to rely on flipping a blade open, I want to be able to manually open it. The wave opening of the 0630 is a bonus, with the thumb disc giving that ultimate reliability (albeit with a very tough detent). Based on looks alone I was initially a little underwhelmed by the 0630. 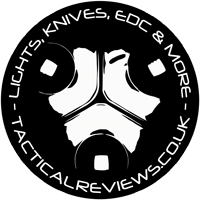 As I got to know it, its capabilities just shone through along with a striking strength of build which means I will happily work this knife harder than I would most folders. If I could change one thing, it would be the severity of that detent, hopefully it will wear in more over time. Super strong build. Overly stiff detent. 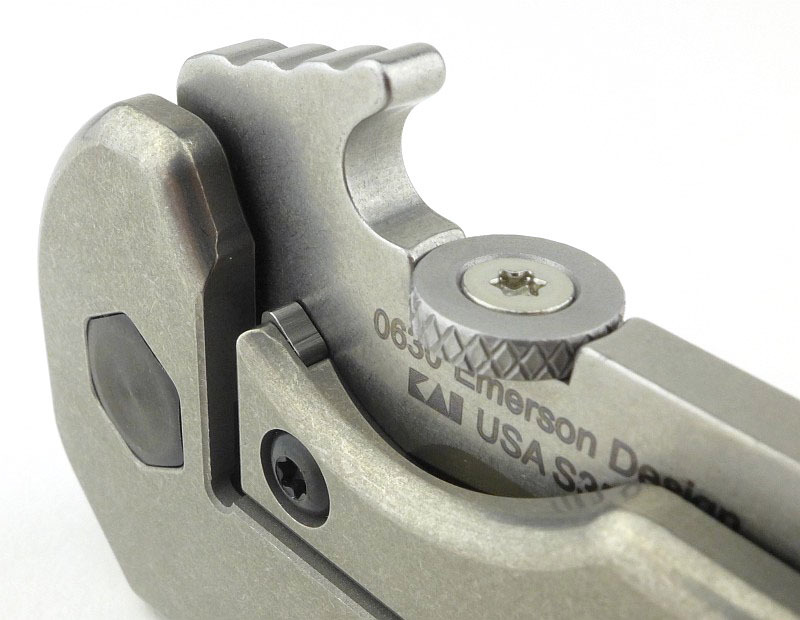 Steel lock-bar insert in Titanium frame-lock.